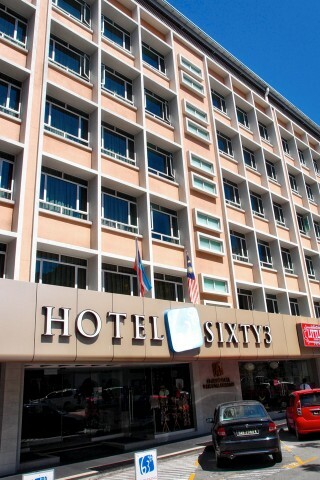 Hotel Sixty 3 is likely the most geographically central hotel in KK and offers smartly styled rooms. Ad Book now! Rates from US$61.19++. Average rating 8.6 from 5,509 reviews. It’s directly opposite the historical kilometre zero marking on Gaya Street, just minutes to many local restaurants and the waterfront. The large midrange hotel has 100 air-con rooms, all spacious and decorated in a tasteful contemporary style in warm neutral tones. Plush carpeted floors and plump armchairs up the comfort level. Suites add wooden flooring, and more furnishings. White bedding is smart and clean. All midrange amenities are there including free WiFi. All rooms have windows, but some only open to a central atrium. Stylish dark-tiled hot-water bathrooms are spotless. All have rain-showers, and the suites add a Jacuzzi. Rooms are non-smoking and some provide facilities for disabled guests. The hotel itself doesn’t have a great deal of facilities — there’s no restaurant, and breakfast isn’t included. A lounge area in the hotel atrium provides armchairs and reading material, and there’s a gift shop in the lobby. Staff are friendly and helpful and suggested much better deals can be had online than as a walk-in. This is a popular choice for families and tour groups, so bookings are recommended anyway. For a hotel with more amenities including a swimming pool, Horizon Hotel has similarly priced rooms. 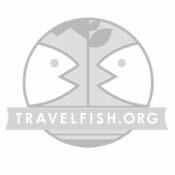 Check rates at Hotel Sixty 3 on Booking.com.